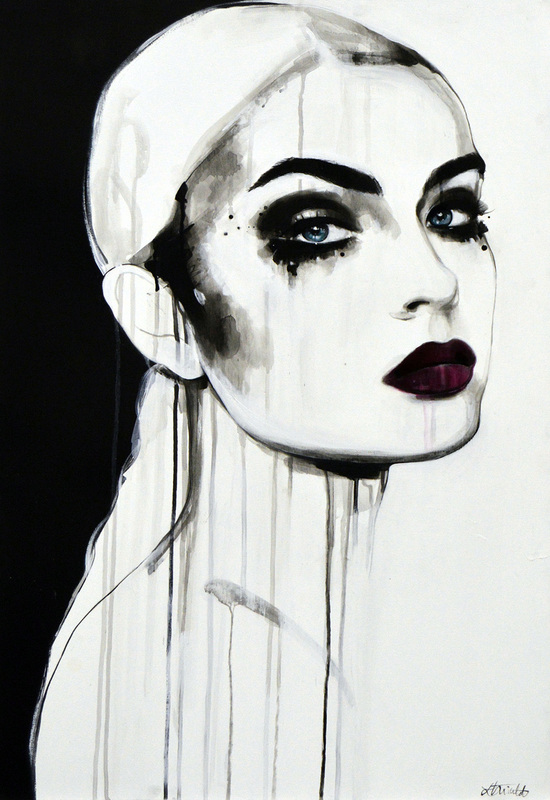 Laura Tinald is a hot young thing with an inky paintbrush. Her illustrative style is influenced by iconic drawers such as David Downton and Quentin Blake as well as classic figurative painters and vintage Hollywood films. 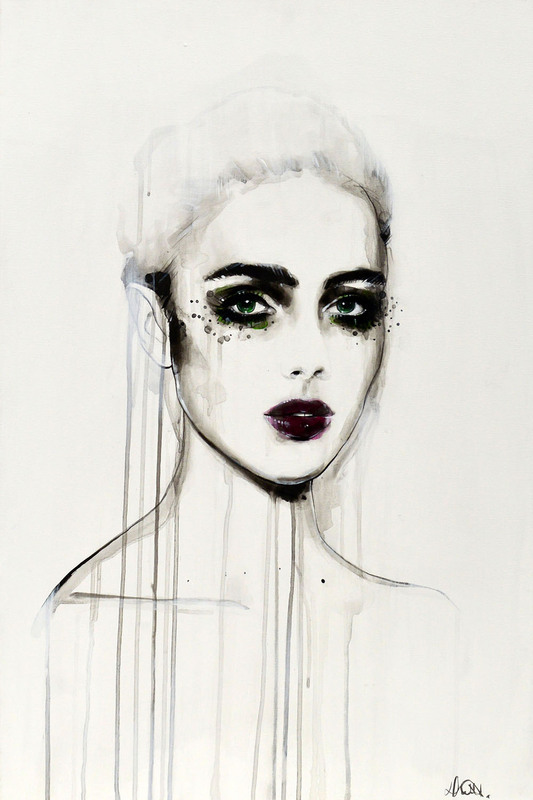 Favouring Indian inks on Fabriano hot-press watercolour paper, her unique ladies sport big bushy brows and sparkling eyes that pop out of the page. 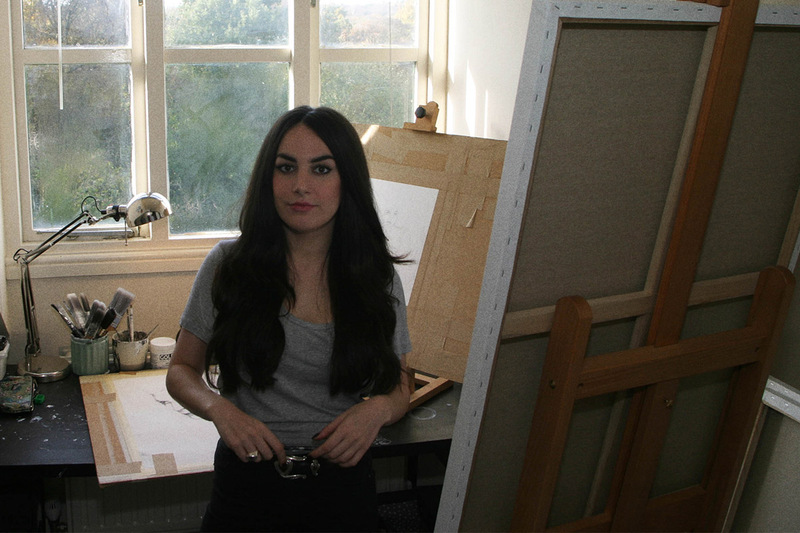 We met up with Laura to discuss her influences, the female form and dogs. 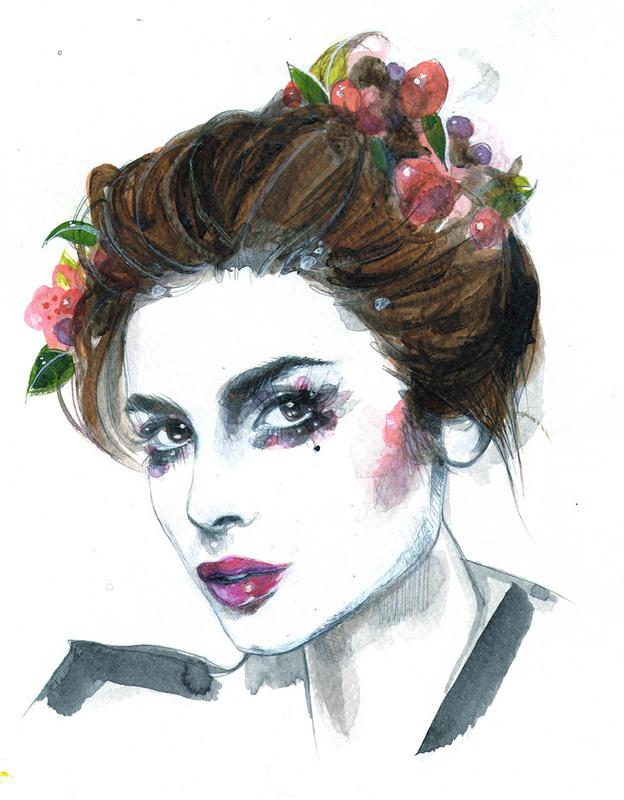 Laura’s work has gone from strength to strength in recent years having had the opportunity to work with Sally Wood (the wife of Rolling Stones Ronnie) who featured her colourful illustrations of Shakespeare’s leading ladies on a range of chocolate bars sold in Selfridges. Laura says the collaboration came about after Sally happened to see one of her paintings in an independent cafe in Moseley (Maison Marci) in 2011. ‘She’d contacted me to say she liked my work, and we exchanged a few emails here and there. When she decided to launch Sweet Theatre, she got back in touch and asked if I’d like to illustrate the wrappers. 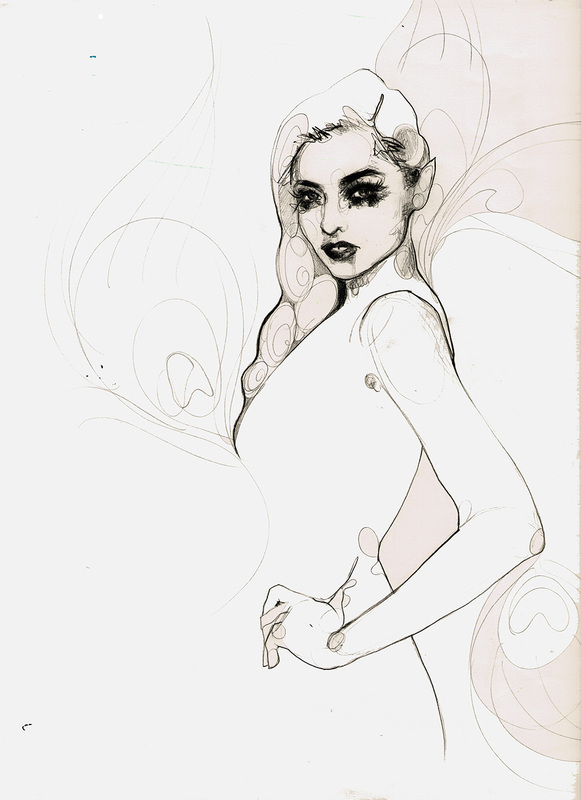 The project was just my thing – it involved illustrating ladies. It was so much fun working with Sally; hopefully, we’ll do another line one day.’ This collab caught the attention of art publisher Washington Green, who chose to represent Laura and create limited edition prints of her work, now available at Castle Galleries across the country. Laura has been inspired by great masters of portraiture and fashion illustration and you can see these elements in her work; she says, ‘for me, the masters are Dante Rossetti, Alphonse Mucha and David Downton. You’ll see that I generally paint women, and I love the way in which these artists represent the female form. There are so many other artists I adore though such as Rene Grau, Stina Persson, Ralph Steadman, ER Hughes and Edward Bell whose portraits of Bowie are incredible. (INCREDIBLE.) I’m also inspired by vintage cinema posters (the hand-drawn kind), Disney animation and the beauty of screen sirens past and present, such as Sharon Tate.’ Sirens, silver screen goddesses, heroines and femme fatales all feature here; with classic poses and dramatic lines moulded with contemporary auras of subjects who gaze back at us. We can all appreciate a hardy stare from an aesthetically pleasing entity and Laura gives us just that.